The recommendation for the financial thresholds at the various levels is that they should remain the same, but there is an allowance for player/coaches, so at Level 3 an additional £25k can be spent on a player coach, £20k at Level 4 and £15k at Level 5. At Level 6 and below the amount is £10k. The annual declaration has an extra clause to allow the RFU to request financial or tax documentation and it clarifies that the four club officials who will sign it are the Chairman, President, Treasurer and Hon Secretary. 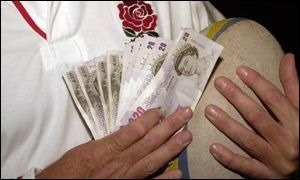 This has been criticised in some quarters as unenforceable but as a contributor to a debate on Facebook said: ‘(A false declaration) will require clubs presenting dishonest financial returns and if it suits some will, but to get away with it they will have to defraud the RFU, the Tax Office and their members’. I think there would be few officials that would want to risk their own or their club’s reputation let alone the sanctions that would follow. The funding entitlements that clubs that pay higher than the prescribed thresholds would lose have been added to. In my previous article I said that although clubs at Level 6 and below probably would feel some financial pain, those playing at Level 3 to 5 would probably not be very inconvenienced unless they wanted financial help with a facility upgrade. The recommendations stopped short of withdrawing insurance cover and entitlement to international tickets, but the amounts are beginning to be more significant. You can read the document by clicking here but as ever please feel free to share your comments via the comment button or on Facebook.